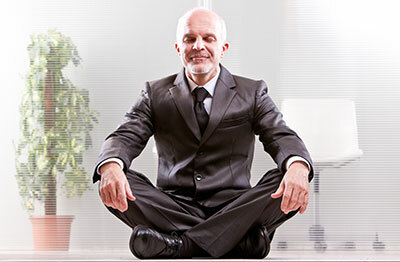 You can take meditation classes in New York City at several different organizations. There are some excellent organizations where you can lean and attend meditation classes. This includes Tibet House, Shambhala and Shantideva Meditation just to name a few. Each offers their own unique way of teaching and practicing meditation. For example, at Shambhala, their intro to meditation teachers will ask you to keep your eyes half open and fix your gaze on a spot a few feet in front of you. You then clear your mind of all thoughts and focus on your breathing. Each organization offers introductory classes in their own unique way and they offer ongoing classes and programs where you can continue to practice and bring your meditation skills to a new level. At The Compassion Center, located in Staten Island, our approach to teaching people how to meditate and then our ongoing classes are a bit different from the meditation classes in NYC. For example, we do not place a strong emphasis on the actual method. As our lead meditation teacher states during his class, for some, keeping your eyes half closed may be the most comfortable for you. For others, keeping the eyes closed completely may be most comfortable. One of the key elements to meditation classes is first and foremost to make sure you are as comfortable as possible. If you are more comfortable sitting in a chair, than sitting on a cushion on the floor, then sit in a chair. At The Compassion center, you can sit in very comfortable chairs or you can sit cross legged on our premium stuffed meditation cushions (Zabuton and Zafu). We have invested in your comfort by providing premium meditation cushions from DharmaCrafts. These are cotton cushions stuffed with buckwheat hulls to insure that you are very comfortable while sitting on them. We also provide kneeling benches for those that have trouble sitting cross legged. The classes at The Compassion Center also differ from other meditation classes in New York City as our lead meditation teacher will ask you at the beginning of the meditation to bring to mind the reason you are meditating. Some people will come to TCC because they curious about meditation. Other will come to us because they would like to address specific issues in their lives. If you don’t live in Staten Island, but are curious about visiting, you will find the visit well worthwhile. By attending regular classes at The Compassion Center, you will find that it will have a very positive effect on you. You will meet some wonderful people including our meditation teachers and be able to socialize after the class. We provide coffee, tea and snacks for people to freely enjoy after each class.